We’ve had a quiet couple of days on the screening front as today we leave for the villages in Dhading – most of our time has been spent running around Kathmandu getting all the things we need to take with us, and waiting patiently to hear if Shital (who is helping us with many things here) was able to acquire us enough fuel for the trip. He was successful so we leave in a couple of hours for a 7 hour jeep journey, mostly off road – made the mistake of looking at a map of the route, unsurprisingly it is very very windy! It’s also fairly remote, so internet does not exist – you might not hear much from us for a couple of weeks, though we will be trying to send text updates to the home team. We did have a bit of time out on Friday, Shital invited us to attend his family’s Bhai Tika ceremony, for the last day of Tihar festival. The ceremony celebrates the brother-sister relationship (or similar, so cousins count, and for us, so do friends!) 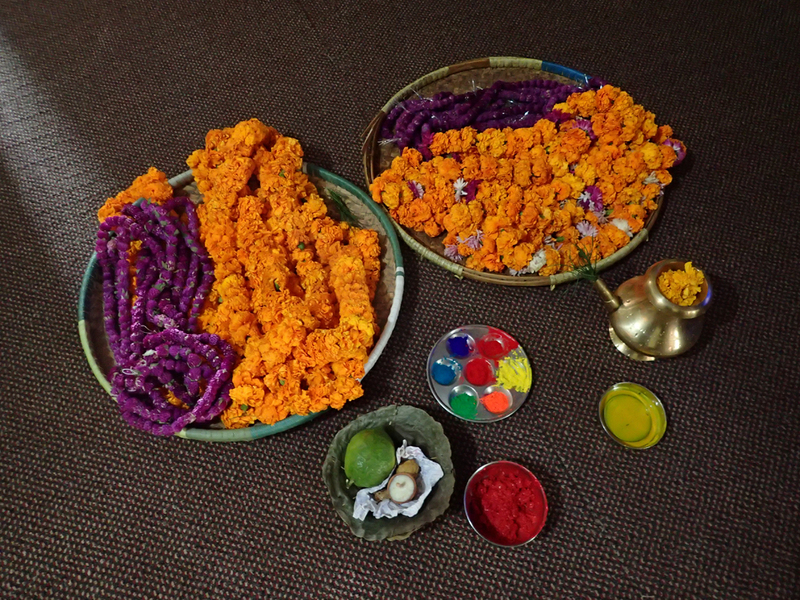 – sisters travel to be with their brothers, blessing them with seven colours of tika powder on their foreheads then placing malas (flower garlands) around their necks and giving them small gifts of money, in thanks for their protection. 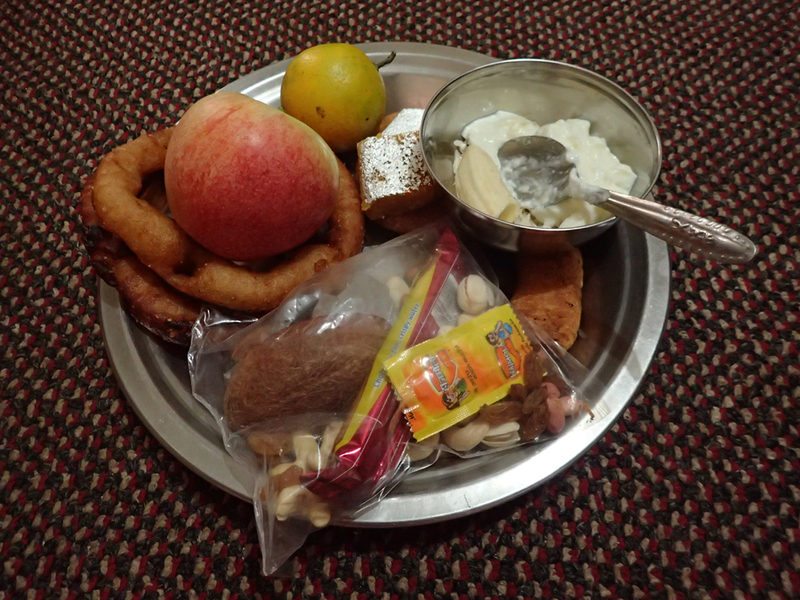 The brothers do the same in return for each sister, then everyone receives a plate of treats – felt a bit like a Christmas stocking – before all sharing a meal of dhal bat, traditional Nepalese food. 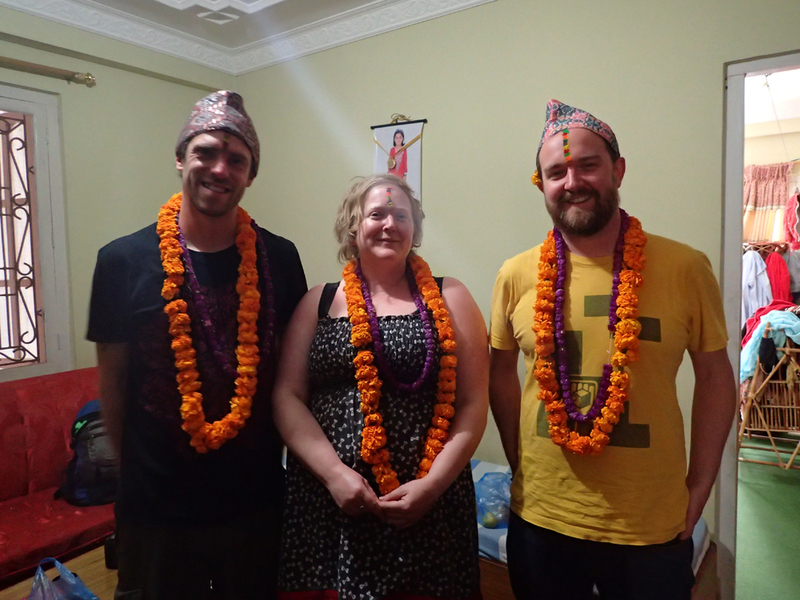 It was pretty special to be allowed such a glimpse into Nepalese culture.